Paintings by June Ward can be found on display in numerous galleries, special exhibits and in homes and offices throughout the United States. 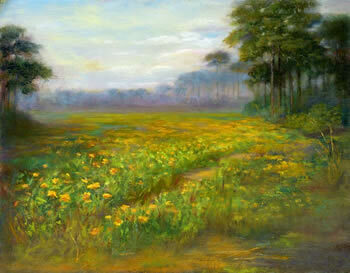 June Ward exhibited 11 paintings as the featured artist at the Walter Anderson Museum’s 2012 Gala. This year’s theme for the event was “Love affair with Horn Island”, and five of the 11 paintings were landscapes created especially for the Gala exhibition. Walter Anderson’s paintings of Horn Island and his writing about it were the inspiration for June’s paintings. 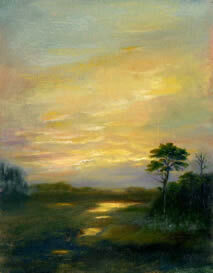 One of the landscapes was donated to the Museum and was auctioned at the Gala. June Ward was featured in the June 2010 issue of Beach Boulevard Magazine. Check this page often for a listing of current shows and exhibits.